Traveling doesn't have to be expensive. 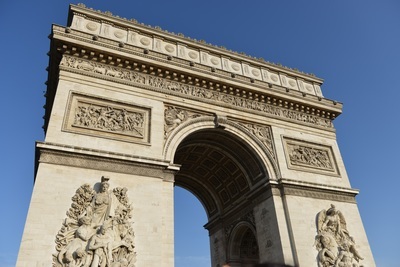 Sure you have to spend a bulk of your money on airfare, hotels, tours, and such, but once you are already in your destination such as Paris, there are plenty of ways to enjoy your vacation without spending all your euros. In this post, we'll share with you some of the awesome things you can do in Paris without spending anything. Once you are in Montmartre, the best thing you should do would be to go to Sacre Coeur. The perfect time to go there would be in the morning so that you can get ahead of the crowd and not deal with the swarms of tourists that will be visiting the place. Once you are there, enjoy the clear view of the City of Lights. It will be priceless. Don't worry about any fees because entering the Sacre Coeur is free. 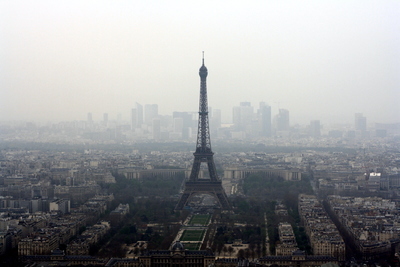 Typically, the first stop when you are in Paris would be the Eiffel Tower. However, if you go there during peak hours, you might be discouraged especially when you see the long line of people eager to go up. The solution here would be to go there after midnight when the tourists are already asleep in their hotel rooms. You can have all the time that you want to enjoy the view and ponder on this massive feat of engineering. You don't have to spend money to enjoy a glass of good wine and cheese at a Parisian restaurant. You can go ahead and buy cheese and a bottle of wine at a local shop. Lay out a nice blanket on Champ de Mars fronting the Eiffel Tower. Now that's a way to enjoy your wine and cheese, and the good thing is, you didn’t have to spend so much for it! Are you an avid reader of the classics? This next stop is for you! Go to Victor Hugo's home. He lived and produced his work at the second floor of the Hôtel de Rohan-Guéménée for sixteen years. He wrote a big chunk of Les Miserables while he was there. If you have enjoyed reading about Madame Curie during your chemistry class, then visiting this museum would be great for you. You can have a grand tour of the laboratories of Madame Curie for free! It's in these laboratories that the artificial radioactivity was discovered by Frédéric and Irène Joliot-Curie which had changed the course of science forever. You don't have to worry about the radium though as the laboratories and offices have certainly been decontaminated. Now that you have a short list of the things you can do in Paris for free, all you have to do is to get the plane ticket to go there. 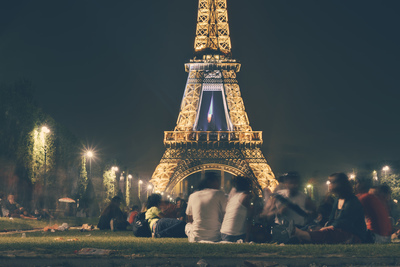 If you are still in the process of planning your trip, then you have time to save up and think of ways to earn money so that you can make the most out of your trip to the City of Lights. Paris may be notoriously expensive but know that if you just do your research well, you can enjoy it without burning a hole in your pocket.